The Concord Historical Society, Inc. was established in 1993. We are an all volunteer, not-for-profit organization. It is our goal to preserve local history in the Town of Concord. The society restored an authentic 1850’s log cabin from the Town of Concord. The William R. Look Log Cabin was dedicated and donated to our town on August 10, 2003. 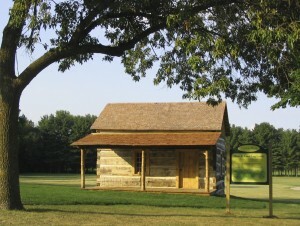 The log cabin is located in Concord Park, Town of Concord, Jefferson County, WI, across from the Concord Historical Museum. 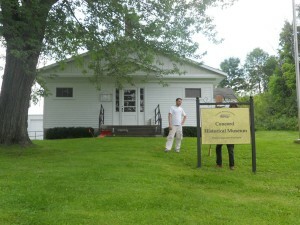 We have our meetings and display our history at the Concord Historical Museum across the road from the log cabin. The history of the Town of Concord, Jefferson County, Wisconsin dates back to February 12, 1841, when townships seven and eight north, of range 16 separated from the Watertown civil township to form the Town of Union. On January 21, 1846, Union township divided into two separate towns, Concord and Ixonia. The two towns took different paths in their future development. The railroad would be routed through Ixonia providing opportunities for commerce and industry. The town of Concord remained a rural township with a focus on agriculture and dairy farming. The Town of Concord was a central stopping point between Milwaukee and Madison on the Wisconsin Stage Lines route along the old territorial road. Concord grew with a population of 725 in 1850, which increased to 1,627 by 1870. By the turn of the century Concord was a growing farming community with a town hall, post office, general store, schools, churches, a sorghum mill, barber shop, creamery, and cheese and butter factories. The first general meeting of the Town of Concord was held on the 1st Tuesday of April 1846, at the house of Austin Kellogg. The meeting was organized by the election of Luther Thayer for Moderator, and Jost D. Petrie for Clerk. Town officials were then elected for the ensuing year: Chairman of Board of Supervisors, Horatio N. Carlton; Assistant Supervisors, Luther Thayer and William Sacia; Town Clerk, Jost. D. Petrie; Treasurer, William Dunning Jr.
Concord Township was also home to the families of the well known author Laura Ingalls Wilder. Laura’s grandmother Charlotte Quiner purchased 40 acres of land in Concord moving from Brookfield Wisconsin as a widow in 1848. Lansford Ingalls, Laura’s paternal grandfather also purchased land in Concord on December 31, 1853. Laura’s mother Caroline grew up in Concord where she became a teacher and met her husband Charles Ingalls. Charles Ingalls and Caroline Quiner were married in Concord on February 1, 1860. 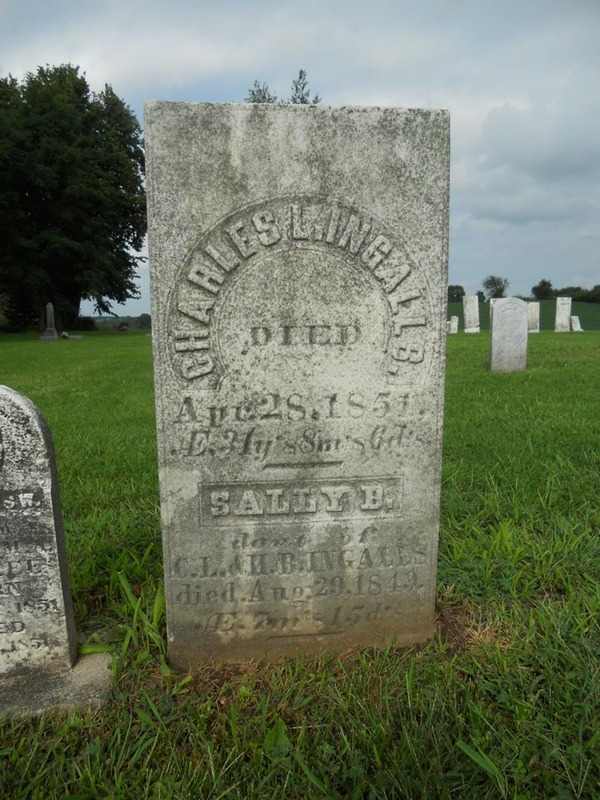 Charles and Caroline moved to Pepin, Wisconsin in 1862, where Laura Elizabeth Ingalls was born five years later. Later in her life Laura wrote her series of Little House On The Prairie books about her pioneer days in the Midwest. Copyright: www.concordwihistory.org – Concord Historical Society, Inc. – All rights reserved.